These arch support insoles are a perfect choice for preventing and easing pain associated with foot injuries such as Plantar Fasciitis. If you have Plantar Fasciitis then our arch support insoles will help to keep you on your feet by reducing strain and pressure on your arches, this will in turn help to prevent further damage to your Plantar Fascia and give your feet a chance to heal! Our insoles will protect your feet from damage, provide the arches of your feet with extra support and will also correct biomechanical imbalances such as flat feet or high arches which can often lead to Plantar Fasciitis. Added orthotic arch support designed to support your entire foot as well as correct biomechanical imbalances and ease pressure and strain on the plantar fascia ligament that supports your arches. Helps to support and correct the four phases of the gait cycle and prevent overpronation and supination whilst walking. Absorbs shock and spreads pressure evenly across the heel and foot. Made from lightweight and durable materials. Ideal for those with high arches, flat feet as well as those suffering from diabetes. A perfect choice for runners and athletes who need more support to prevent themselves from developing overuse injuries. Proven to help treat and ease a number of different injuries affecting the lower limbs including Plantar Fasciitis, Metatarsalgia, Bunions, Heel Spurs, Morton’s Neuroma, Foot Fatigue, Shin Splints, Achilles Tendinitis, Jumpers Knee, Runners Knee as well as hip and lower back pain. Features a specially designed heel cup that will help provide improved support and stability to your heels. The heel cup will also restore biomechanical balance to your feet which will in turn ease foot and heel pain and reduce the risk of heel and ankle injuries from developing in the future. 2x Arch Support Insoles (One for each foot). A full 30-day money back guarantee. 3/4 Semi rigid plastic shell for improved support and comfort. Active carbon fiber that helps remove odour. Size: 7-11 and 3-7. Our insoles can also be cut to size for the perfect fit inside any type of shoes! For both men and women. Arch support insoles are special orthotic devices that are customized to control the way the foot functions and correct biomechanical imbalance. Controlling the way the foot functions can be helpful in treating certain foot conditions and in relieving pain symptoms through correction of posture and supporting the underlying muscles and tendons. Biomechanical imbalances can also cause injuries in other parts of the body due to certain muscles overcompensating to achieve balance in the body. Why should you choose Nuova Health Insoles? 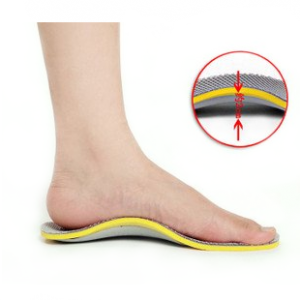 Our Orthotic Arch Support Insoles are specially designed shoe inserts for optimal pain relief and injury prevention. Our insoles are more affordable than the custom-made orthotics and are ideal for those patients with mild or even moderate pain in the foot. These insoles provide optimum comfort for weak and or fallen arches and or flat feet. They prevent and treat heel pain, Plantar Fasciitis, Achilles Tendonitis, and calf muscle injuries by providing a fairly firm support cradle around the arch of the foot and increased shock protection through enhanced shock absorption. Our orthotic insoles also support optimal biomechanics thus improving your posture helping to reduce lower back and knee pain as well as heel pain by reducing biomechanical wear and tear on the ligaments and joints thus orthotic insoles are excellent for prevention of niggling injuries and further problems down the line caused by poor posture. How to use your Nuova Health Insoles? Some people do adapt to foot orthotics very quickly but most people need to gradually adjust to them and this is done by wearing them for a few hours each day and then increasing the number of hours in increments. Arch supports should feel comfortable and should be used whenever taking part in activities that usually worsen your condition. The orthotic will mold your foot to a new bio-mechanically optimal shape but it is important for you to go barefoot to aid the feet in strengthening the surrounding muscles and tendons so they learn to change to the correct shape by itself. What are the main features of the Nuova Health Insoles? Easy to use and fits all sizes, simply cut down using the guidelines to your desired size. Our insoles are made of extra soft cushioning fabric. Recommended for busy people who are on their feet all day, the soft cushioning material leaves your feet pain free at the end of the day. Also recommended for sporting and everyday use. Do these just help people with plantar fasciitis? The inbuilt arch support system will also help to reduce tension in and around the arch of your foot helping to reduce excessive pronation and abnormal load and pressure from damaging your feet. Not only will these insoles help to ease foot pain and injuries but they can also have a wider impact upon your whole skeletal system. Biomechanical imbalances found in your feet can impact your posture and entire skeletal system which can lead to injuries to develop not only your feet but in your lower legs, knees, hips and lower back. These insoles have been developed to help correct these biomechanical imbalances and help to prevent these problems. What injuries do these insoles help with? These insoles can help to treat and prevent a number foot and lower limb injuries including but not limited to Plantar Fasciitis, Metatarsalgia, Bunions, Heel Spurs, Morton’s Neuroma, Foot Fatigue, Shin Splints, Achilles Tendinitis, Jumpers Knee, Runners Knee as well as hip and lower back pain. Will these help me if I have flat feet? Yes, if you have flat feet you will be more susceptible to over-pronation and supination which can cause abnormal load and pressure on your feet which can cause injury. Inbuilt rigid arch support will help to correct the function and prevent abnormal loads and pressure from damaging your feet. Will they help me if I have high arches? High arches can make you more prone to developing excessive pronation (when your foot rolls inward or outwards too much) when you walk that can result in extra strain and pressure being put on plantar fascia=which can lead to Plantar Fasciitis. If you have high arches wearing a pair of these insoles can help to prevent this excessive pronation and take strain and pressure off your arches when you walk. How will they help to get rid of shin splints? Shin splints are caused by a number of different factors including shock to your lower limbs, running on hard surfaces, standing for long periods, a sudden increase in activity involving your legs, obesity causing increased pressure on your shins or from overpronation. These insoles have been created using shock absorbing medical grade materials that help reduce shock from damaging your lower legs. Not only that but wearing our insoles will also help to correct pronation in your feet and stop pressure from damaging your shins allowing your shins to recover properly. How can these insoles help with Metatarsalgia? Metatarsalgia is a general medical term used to describe ball of foot pain which can be caused by a number of different foot injuries. These insoles have a built-in metatarsal pad that helps protect and realign the bones and ligaments in your balls of your feet correcting common biomechanical imbalances that can cause ball of the foot injuries to develop. Will they help with tired aching feet? If you suffer from tired aching feet caused by being on feet for long periods then you may find relief from wearing a pair of our insoles. This is because our insoles have been specially developed to evenly spread damaging pressure that builds up underneath your feet and heels, helping you to combat against foot aches and foot fatigue. What types of shoes can I wear these with? You can fit them inside virtually any type of shoe you want. They can be trimmed to the right size and shape using the guide printed on them enabling you to fit them into even the narrowest of shoes. If you are wearing these to help ease foot pain or to treat an injury it is recommended to wear them inside shoes with plenty of room for both your feet and the insoles. It is also advised to wear them with shoes with a wide toe box. The heel cup and heel grips will help to keep your foot in place and stop your feet from moving around when wearing them. Can I wear them on top of other shoe inserts? It is not recommended to wear these insoles on top of other existing inserts in your shoes. The reason for this is that this could affect the way that they function and may create imbalances that could lead to damage and injury to your feet. Wearing these on top of existing shoe inserts can also cause your shoes to become too tight making you more prone to the development of foot injuries such as Bunions, Blisters, Hammertoes and Morton’s neuroma. Are these insoles just as good as a pair of custom insoles? It has been proven that a good pair of off the shelf insoles can be more beneficial to your feet than custom insoles. This is because custom insoles are built using a cast of your feet and just supports your feet in the position that was causing your foot problems. 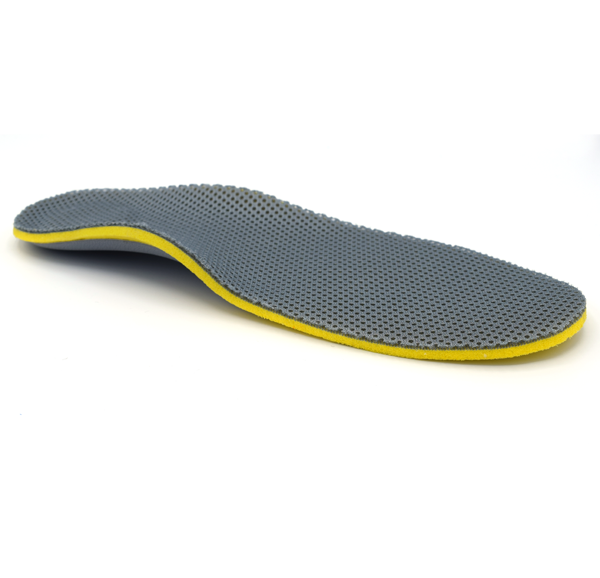 Whilst a pair of off the shelf insoles such as these will work towards supporting, realigning and correcting the positioning of your feet in a way that creates less strain and pressure. Custom insoles also can also cost 10x the price of normal insoles making them extremely expensive to replace. How long do arch support insoles last? 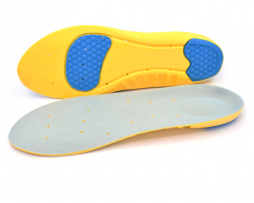 We have created these insoles to be as durable as possible using the best quality materials. However, it must be stressed that no insole will last forever. Depending upon how often you wear them the support and protection that they will give your feet will eventually weaken. For this reason, we recommend replacing them every couple of months to ensure your feet stay supported and protected against injury. What drew me into buying these arch supports was the price. I didn’t need anything custom or specialized (which I have had before too my expense and didn’t really do anything) I just needed something to stop my feet from hurting at the end of the day after being on them all day. I was really surprised with the quality of the soles they were better than the custom ones I bought before and did a lot more for my feet. I am amazed at how relaxed and comfortable they make your feet. Have told all my friends about these insoles who then bought them too and have said just the same things as me they are great! Why didn’t I buy these sooner!!! If I did I wouldn’t have wasted so much money on insoles that didn’t work. These cost a third or the price of others I bought to fix my foot pain and are so much better! Great product! Fast delivery. However you should note that all good physiotherapists and podiatrists will tell you that you need to keep on swapping the foot supports in your shoes and that what I do. Occasionally I will wear these ones for around a week and then I will switch to wearing another pair of orthotics from nuovahealth. This is to stop my feet from becoming too dependent on one type of support and helps strengthen other areas of the foot. Really didn’t fancy buying custom insoles costing 10X as much and going to all the hassle of a gait analysis especially after reading in a running magazine that custom orthotics really aren’t as beneficial as people like to believe. Found these instead and so happy that I did. Not only have I saved my self a whole load of money but they have definitely helped considerably. I have had no tightness or pain in my arches any more as I run and they stop the sudden shocks and jolts to your feet and legs too which can otherwise cause tendinitis to develop. Be sure to save yourself some money and don’t fall for the whole you need custom insoles hype when you can get these which are brilliant! I was a real fool not to run with these before! After getting sick of constantly pulling the ligaments and tearing tendons in my feet I finally bought these insoles from nuovahealth. Before every other day I would have pain and aches in my feet stopping me from running but now the only thing that stop me is my own endurance how it should be! Received them really quickly in just a few days. Suffered from sever pf in my feet, these orthotics really helped put the strain off my feet whilst they recover. If you suffer from pf it can be so annoying and can keep on coming back because your arches will be weakened so even if the inflammation and pain goes down and you start walking on your feet like normal again it doesn’t take a lot for you to overstretch or damage the arches again and get the dreaded plantar fasciitis once again… So wearing something like these really do help so much as you can get back on your feet and not worry about pf coming back because the insoles take all the strain off your arches whilst they strengthen up again and recover fully. I do a lot of running so making sure that my feet or in good shape, as well as making sure that I don’t overuse my feet and that they are protected from the sudden jolts and the constant pressures that they must go through is important to avoid injury. These soles have really helped to get rid of my heel pain that I was having! Im just buying a second pair right now to put inside my other pair of shoes! I have always had bad balance as thought I could get pushed over really easily. I bought these insoles to help give me more balance after reading that insoles can help correct your center of gravity by keep you more stabilized and giving you overall better posture. I these insoles have really helped give me more balance! Quick delivery too I must say as I bought them on a Tuesday and got them on the Friday. Wish I found out about these sooner as then I would have had better balance and who knows I might have been better at sports too when I was younger. Call me, a wimp if you like but I was getting a really bad case of foot pain when I was playing football not long ago and was sick and tired of it. So what I did was start wearing these insoles. Straight away they made a difference I can tell ya! Showed them to my teams physio and even he agrees that they are pretty decent! Had a real nightmare case of plantar fasciitis which kept coming back no matter what I did. Tried resting my feet for weeks but every time I started walking on the affected foot my arch would inflame again and I would be back where I started. These arch supports are good because they let you get back walking again by supporting your feet (but giving your feet just enough room to start to strengthen up themselves) and helps stop shock from reaching a damaging your arches even more. Really cushions the heel and soles of my feet really well. I have no complaints that I can think of whatsoever! I am a keen runner but recently I have been diagnosed with having knee tendinitis. This means that running which can cause small shocks to travel up from your feet to your knees can cause the tendinitis to become worse. I bought these insoles because of how they are meant to help absorb shock and minimize the damage the shock can cause and they have! Now I can egt out there again and start playing sport and running again. Needed some good quality and long lasting insoles (Often found that many insoles before I got these one that they would wear out so quickly if you run in them a lot like me) because I do a lot of running and sports. Have had lots of problems with my feet in the past with shoes and inserts inside them not giving me the right protection from shock or not enough support to the arch which caused me to get all sorts of injuries. With a major marathon coming up I didn’t want something as silly as not wearing the right insoles to cause me to pull out because of injury so decided to buy of these and they have been great! Bought some pairs from other online places before however they didn’t give my feet the right support or just wore out far to quickly. However these insoles are just perfect for me. I have really awkward shaped feet that causes me so many difficulties and pain in my feet. Been looking for ways to help them from everything from stretches for my feet to specialized shoes which all didn’t seem to help. But these did the job! Quite a happy person at the mo. Thank you! -Love the breathable mesh on them.. stops my feet from sweating and getting stinky whilst running. -The arch support actually works! I have worn tons of of different insoles through my running career and a lot of insoles I have tried that boast arch support do not give the slightest bit of arch support but these do and I have not strained my feet or got any cramps whilst running with them in my shoes! As soon as I started wearing these soles I could see a huge difference! -The delivery was super quick… I ordered them on a Sunday night and got them on Tuesday morning! -The only con that I found was that the insoles need to be cut to size to fit into your shoes.. this isnt hard to do because there are guides etched onto the insole itself but if you go over the guides it can wreck the insole. I’m not happy I bought these orthotics because I have plantar fasciitis however after a week wearing these and I still have plantar fasciitis.. I have noticed that the inflammation has gone down a bit but still not instant cure!! Why not? All I want is for my fasciitis to go away.. I have no time to wait around as I want to start playing football again! this is all very disappointing for me. I am really sorry to hear that your plantar fasciitis hasn’t healed up as quickly as you would have liked. You can always return the insoles to us to receive a full refund (including all postage costs). These insoles are totally worth the money! I started getting severe arch and hell pain and then later found out that it is was something called plantar fasciitis.. a friend recommended that I give these a go to try and give my arches a helping hand and keep the pressure from causing more damage whilst my arches heal up. As soon as put these inside my shoes I could fee the difference and the arch support really does help. I got fed up of my plantar fasciitis and the constant heel pain that comes with it.. and no matter what ever I did it would just keep on coming back with vengeance so I decided to buy some of these orthotics and I really wish I bought these sooner as my plantar fasciitis and heel pain is just about gone now! I have been suffering from plantar fasciitis for probably a whole year now but within just a few weeks of wearing these inside my shoes my pf has gotten a lot better! Thank you so much I will be recommending these at the running club that I go to for sure! I bought a pair of these to put inside my new running shoes.. and so far so good! I can really feel the difference when I am running in them and are really good at stopping shock (a lot better than the default insoles that came as standard with my running shoes and that is saying something!) Im really glad I bought these and now im just buying a second pair for my normal shoes as we speak. I have worn tons of other insoles in the past including.. superfeet and scholl insoles and they were a lot more money than these but didn’t even come close to the amount of support and comfort that these insoles give your feet! If your thinking of buying any off the shelf insoles.. buy these ones and you wont be disappointed! Overall these insoles are the best around.. (or at least the best I have worn). I highly recommended these for an runners out there because they are light weight thanks to the carbon fiber plus the insoles are meshed so they are breathable.. so your feet aren’t going to get super sweaty and smelly. The arch support is really good in these insoles as it doesn’t over support your feet like so many other insoles do.. instead these insoles just helped to align my feet properly and correct bio mechanical problems this means that your feet will not just get weak and reliant on insoles, which is what you want!! I have been wearing these orthotic insoles for the past month and here is my experience with them! I found that as soon as I started running with them inside my shoes I immediately could see that there was a massive improvement to the comfort and stability of my shoes! Not only that one of the main reasons why I bought these insoles was to help correct my pronation when I run… because I over pronate it meant that I was putting excessive strain on my arches when I run and this can lead to foot cramps, pain and even plantar fasciitis if you are not careful… these insoles really have helped a lot to correct my pronation which means that I can now concentrate fully on my running instead of constantly worrying about what foot injury I am chuffed to bits that I bought these as these are a must have for any runner particularly if you over pronate your feet like me! Couldn’t be happier with these insoles! I bought them after having to throw away some others I bought for my plantar fasciitis from another site that were double the money and actually made things worse for me, I developed a heel spur from them! With these orthotics I have had zero problems with them and they have really helped ease my plantar fasciitis.. and have even helped reduce the size of my heel spur brought on by the other cruddy insoles I got. Lesson learned… not always the most expensive orthotics are the best! Bought these on a whim as a quick and cheap replacement after I lost my custom insoles.. turns out these actually work a lot better than my super expensive custom insoles! cheers! I was a bit skeptical at first after receiving my insoles in a loose and cheap looking bag (I guess nuovahealth have to cut corners somewhere to sell these insoles so cheaply) but once I started to wear them I was surprised at just how comfortable these insoles are to wear and that is the main thing so who cares if they got delivered in a cheap bag! I have now been wearing these for just about 2 weeks now and so far so good as they have greatly reduced the aches and pains in my feet and made wearing my once super uncomfortable shoes comfortable! I decided to buy some of these insoles as replacements for the ones that came with my new running shoes.. because the ones in my running shoes did not offer any kind of arch support and were useless. I am really glad that I purchased these because they have really improved the overall comfort and support in my shoes! I have now been wearing them for a couple weeks now and have zero complaints! If you know what good for your feet you will buy a pair of these! Really top notch insoles! I had plantar fasciitis and couldn’t bare any weight on my arches at all without absolute agony! Had these in my shoes for a couple weeks and it made things a heck of a lot easier for me! I should have bought the bigger size because the ones I bought were too small. Shame. Hello Guy, I am sorry to hear that the insoles were too small for you. You are able though to return the insoles to the shipping address if you want and we will send you a bigger size or a full refund it is entirely up to you! FANTASTIC, GOT RID OF MY PLANTAR FASCIITIS SO QUICKLY I CANNOT BELIEVE IT! After getting plantar fasciitis and my doctor recommended that I should buy a pair of arch supporting insoles specifically for plantar fasciitis that will keep the strain and pressure off my arches whilst my feet recover. After browsing a couple different pairs I decided to go for these and I am pretty glad that I did because they have been so good at helping ease the pain of my PF… so good in fact that my PF is nearly totally healed up. I have lost count of how many different insoles I have bought over the years only to just throw them away because they would hurt my feet when running in them.. but these ones are different! These insoles have been working a treat! It did take a little messing around to cut these inserts into the right size to fit them into my shoes properly but once I got them in I have had no problems with them at all and have really enhanced the overall comfort of my running shoes 10x! About a year and half ago I developed plantar fasciitis on my left foot which made walking, running and even standing super painful, and because I work in a bar and have to be on my feet all day this is not good at all! After seeing the doctors I was told that I should get some custom insoles made which ended up being very expensive plus what they don’t tell you is that with custom insoles they get worn away very quickly and do not last forever. and after spending around £100+ for my custom insoles 2 months later the insoles were well and truly worn out and needing to be replaced! This is why I ended up trying out these insoles instead and I only wish that I got these in the first place as these insoles are actually a heck of a lot better than the custom insoles that I forked out so much money on. With my custom insoles the arch support was just too much and it did not give my feet any room at all this meant my feet would just become reliant on the arch support and would not ever get strong on their own.. but with these insoles the arch support is just enough to keep pressure off and from stopping the plantar fasciitis from getting any worse but also helps to encourage your feet to start supporting the arches again by themselves! Overall these insoles are great and are a lot better for your feet than any custom insoles I have tried plus a lot cheaper! Yay!!!! My heel pain has just about gone now thanks to these orthotics! These orthtoics are just want I needed! Usually when I go out running my feet would slap the ground constantly and the shock would more or less destroy my feet in the process but now when I go running and wearing these orthotics the shock gets absorbed nicely and I can keep on running and don’t have to quit just because my feet start hurting. GOT RID OF THE ACHES AND PAINS IN MY FEET… PLUS NOT ONLY THAT THESE INSOLES ARE SO MUCH CHEAPER THAN OTHERS OUT THERE! GLAD I FOUND THESE AND NOT WASTING MY MONEY OF STUPIDLY EXPENSIVE THINGS THAT DO THE SAME THING! I bought these for my son who plays A LOT of football but started getting heel and foot pain.. other more expensive branded insoles that I have bought for him didn’t do the trick and actually did more harm than good by forcing his feet upwards and creating more strain on the arches of his feet than anything else. But these insoles have done the trick and he says these ones are really comfortable and he no longer gets foot pain! BEST INSOLES EVER! Whats more is Nuovahealth have been so helpful and answered all my question about what insoles would work best for my feet and they were right.. put these bad boys in my shoes and I could feel a massive difference in the support and comfort!! Hey I have a couple questions about these orthotics if you don’t mind before I press the buy button. My podiatrist has said that I have plantar fasciitis from running without wearing proper support in my shoes and I need to start wearing orthotics.. are these insoles meant for running in? Also are these insoles just meant as a way to ease plantar fasciitis or just to prevent you form getting it and will not work if you already have it… in other words if I start wearing these in my running shoes and go out running will my plantar fasciitis get any better? Do these help with over pronation at all as my podiatrist also said that my feet over pronate and this also helped me get plantar fasciits too??! Hello Micky thank you for your interest in our Nuovahealth plantar fasciitis insoles. You will be happy to know that our insoles help to ease stress and tension in the arches of the feet this in turn helps your feet recover and heal if you have plantar fasciitis already or if not helps to prevent plantar fascitiis from developing. 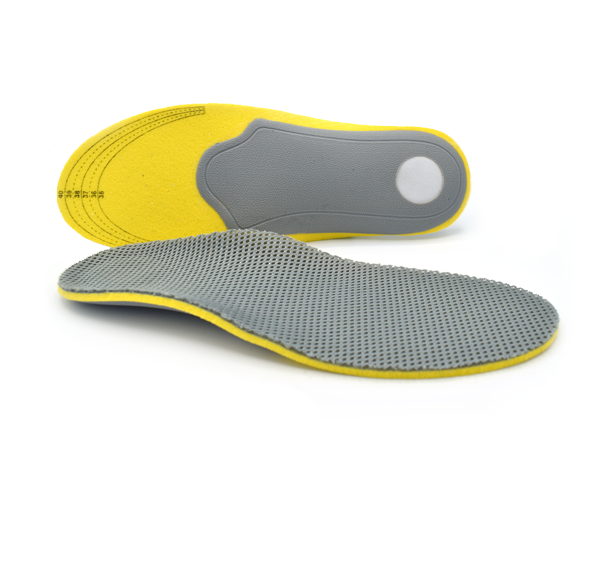 If you feet over pronate or have any other improper biomechanical problems that may cause strain on your feet then these insoles will help correct these issues by providing targeted support in the right areas (just the right amount of support to give your feet room to support and strengthen on their own). I hope that I have helped and if you have any more questions please don’t hesitate to ask more! Hello, I haven’t bought a pair yet but I was wondering if I do and the orthotics aren’t right am I allowed to return them? Cheers. Yes here at Nuovahealth we offer a no risk full money back guarantee which means if you are not 100% satisfied for whatever reason with any of the products that you buy from Nuovahealth and return them to us within 30 days we will give full refund including postage costs! SAVE YOUR MONEY! I say dont bother buying expenisve brand insoles like super feet ones that cost 5x the price of these!!! I have tried just about all the well known branded insoles and I must say that these ones are just as good if not better :). Really really good. So comfortbale and great value for money. I am so pleased that I bought them. I honestly think these are the best insoles I have ever worn! Not only have these things totally gotten rid of my plantar fasciits but im pretty sure that they have also helped me run a lot better! Perfect! Really high quality and helped my over pronation so much! I still cannot beleive that these are only £9.99 aswell.. must be the deal of the century as these orthotic are so much better than stupidly expensive custom ones. Ordering a second pair for my everday shoes as we speak. You just cannot go wrong with a pair of these inserts. Just the right level of support that I need.. not too rigid and not too flimsy eithier. Has helped oodles with helping me sort out my plantar fasciitis. These insoles get 5 stars from me! Prompt delivery, really high quality and don’t bulk up your shoes unlike many many other insoles that I have worn before this means that these insoles don’t make your shoes feel all tight when wearing them. These are definitely the best plantar fasciitis insoles on the planet if that’s not going too far. I have tried just about every insole you can buy and non of them have been anywhere as good as these ones!! I have been suffering plantar fasciitis for months now with no sign of it going down but after putting a pair of these inside my shoes within 2 weeks my plantar fasciitis has gone down so much. If you have plantar fasciitis then buy a pair!! Trust me these soles helped get rid of my plantar fasciitis so so quickly! All other soles that I have tried from other stores have either not helped in the slightest or have made my plantar fasciitis even worse. Perfect. Super happy with these inserts. Feels just like I am walking on clouds now when I have my shoes on! Really pleased with the insoles that I bought from Nuovahealth, I Haven’t actually worn them yet as they are a present to myself for Christmas, but they do look good quality. Ordered them 3 days ago for Christmas and they have came today, I honestly thought I was stretching it by ordering them only a couple of days ago and didn’t think they would actually make it in time for Christmas. I have really flat feet which means that my feet can become inflamed so easily, even doing the most simplest of tasks. So I decided to buy these to try and take some of the strain off them and I am really glad that I did because they have worked wonder for my feet. You can really feel that the arch support helps and what is an added bonus is that they are great at absorbing shocks and stopping pressure building up underneath your heels.. which means no more sore and achy feet after a long hard day at work. Overall, as you can tell I am really happy with these insoles and would recommend them to anyone with flat feet. Just marvellous and have done my feet a world of good. I started getting some really nasty tight pains around my arches whilst running, which got worse the more I ran. I went to a physio who told me that I had mild plantar fasciitis and that I ought to fit some proper insoles inside my shoes that would support my arches and take some of the strain off them. I looked online and could only find super expensive ones until I found these. I have been wearing these in my shoes now for 2 weeks and they have made such a big difference and now I hardly feel any tightness in my arches. My only complain is that these insoles are a tad hard to fit inside your shoes, because if they are too big you have to cut them down to size which can be a little bit tricky. Once you have got them in your shoes there is no looking back. I would definitely recommend these to anyone even if you do not have any problems with your feet it is best to be safe than sorry. -Usually insoles take a couple days for your feet to get used to them but these seemed to ease my foot pain as soon as I started wearing them which really is something. -They give my feet just the right amount of support as I have had pairs in the past that would either be too much or didn’t give me enough. These seem to get the balance just right. -Very are quite thin and light weight this is good because it means I can put them in the narrowest of shoes without worrying about them bulking up or making them feel tight. -The heel cup that cups around your heel has really helped improve my stability and stop it from wobbling around when I walk… don’t have to worry as much about spraining and twisting my ankle now. The insoles where a little bit too wide for my shoes which meant I had to faff around cutting them to size. If you are going to cut them down to size make sure you have a sharp pair of scissors! It didn’t take too long and there are guides drawn on the insole to help but if you go wrong you might have to buy a new pair. -It took a while for the insoles to be delivered..around 2 weeks (this might be because I ordered them just before Christmas). Even though they may take a bit of faffing around cutting them to the right size and take a while to to be delivered these insoles are definitely worth buying! I have had lots of other insoles in the past, some that have even cost 10x as much as these ones and non come anywhere close to the support and comfort these give your feet. Really happy helped cure my foot pain in no time at all. I use your insoles all the time now and they have really helped me! I would used to get really bad foot pain and developed a heel spur on my right heel but thanks to wearing these things have gotten a lot better. They took a lot longer than expected to be delivered..but when I finally received them they were definitely worth the wait. I bought them because I started a new job with shifts that required me to stand for very long periods which caused my feet to get really sore and painful. Thanks to these insoles this isn’t a problem anymore and I can stand around for as long as I want without my feet or heels hurting one bit! I don’t often write reviews but these were so good that I just had too! Recently I started getting really bad foot pain it was so bad that I couldn’t walk properly. I went to the doctors who said I had plantar fasciitis. Tried all sorts of different things to try to ease it including stretches and rolling my foot on a golf ball but nothing seemed to help get rid of my pain. My friend suggested I give these insoles a try so I bought a pair. I have been wearing them for just over two weeks now and my feet feel so much better. These insoles are made combat against the main underlining causes of foot pain. If you have flat feet and over pronate then you are at much greater risk of developing plantar fasciitis and other foot related injuries. Wearing a pair of these insoles to correct your pronation can help. Using orthotic arch support technology these insoles will realign and re-balance your feet and stop you from over-pronating when you walk. This will help to treat and ease plantar fasciitis pain by taking the pressure and strain off your arches when you walk, helping you to avoid inflaming and damaging the plantar fascia ligament that stretches across and supports your arch. 1x pair of insoles specially developed for people with over-pronation. 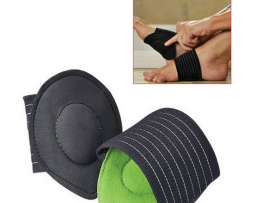 Helps to correct foot function and ease foot pain. Inbuilt arch support to relieve pressure and tension off your arches and stops your feet from over pronating, making these insoles ideal for treating and preventing a whole host of foot injuries including plantar fasciitis. Heel support helps to give your heels a break and provides you with more stability balance and comfort. 2x High Premium Quality Orthotic Arch Support Insoles (Left and Right foot). Available in 2 Sizes: Large Size UK 8-10 and Medium Size UK 5-7 (Cut down to meet your individual requirements). Designed to help ease shoulder pain and give you more support. Proven to help fasten and boost recovery. Shoulder supports are most often worn by people who have sustained an injury and want to ease pain and improve mobility in the longer term by supporting the injured muscle joint and tendons preventing further damage. Shoulder supports or braces can help injured and disabled people in a number of ways, by restricting movement the shoulder joint itself is prevented from being manipulated into a vulnerable position that may increase the chances of it becoming dislocated. Once the shoulder joint has been injured or dislocated in the past there is a far greater chance of this same injury recurring, as the tendons and ligaments may have been strained or weakened. This support also offer the skin and muscle tissue surrounding an injury vital support by way of compression aiding the swift recovery of the swollen area. This feeling of compression with a well fitted snug support also aids the wearer to be more aware of the position of the shoulder joint in everyday activities. This helps the person to avoid sudden movements of the shoulder or incorrect posture when lifting,carrying, throwing and even more mundane movements such as reaching or even writing that can cause a weakened shoulder further stress and possible injury. All our braces allow the shoulder of the wearer to heal and strengthen by gently working the muscles around the shoulder by increasing or decreasing the resistance as the wearer moves their arms, but without putting the joint in a compromised position. Our supports are easily fastened, comfortable, strong but durable and lightweight to wear meaning they can happily be worn all day. 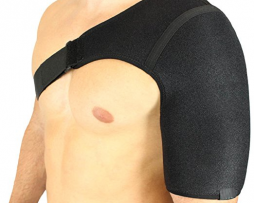 1x High Quality Shoulder Support – Can be worn on either the left hand or right hand side. Strap them onto your foot, wear them everywhere. Cushioning protection that stops shock from damaging your feet. Motion control stops your feet from over pronating when walking or running reducing your risk of developing foot injuries. Arch support designed to redistribute weight and pressure on the plantar fascia to prevent and treat plantar fasciitis a common overuse injury that affects one in ten people worldwide. Pay with Paypal the secure payment gateway that accepts all credit and debit cards. Paypal is free and secure and no credit or bank information is ever stored or shared with us. Enjoy your items soon with quick dispatch via Royal Mail First Class. Expect to have your items between 1-3 days for domestic orders. 7-10 Working days for international orders. Return Policy – No Questions Asked Refunds! We are so confident that you will just lour our product that we offer a full 30 day no questions ask money back guarantee. In the unlikely event, you are unhappy with your purchase you can simply return it within 30 days for a full refund. Please contact us via the form on the contact us page, or alternatively email us at sales@nuovahealth.co.uk to start your return. Nuovahealth is simply the best of the best in my opinion! Always great service, fast delivery, and high-quality products! I purchased your orthotic arch support insoles as I suffer from a fallen arch that makes walking very painful. WOW… what a difference, now I can stand for a long time and walk about without any pain at all. The height increasing insoles are brilliant, I love them! They are so comfortable and people are asking if I have gotten taller. Also noticing that girls are staring at me more… Will order again! Thank you!! !